As the technology becomes even more creative and inventive, there are already created ways in which you can communicate with someone face to face. If you want to call and talk to someone, you can do it through the use of your Apple device. 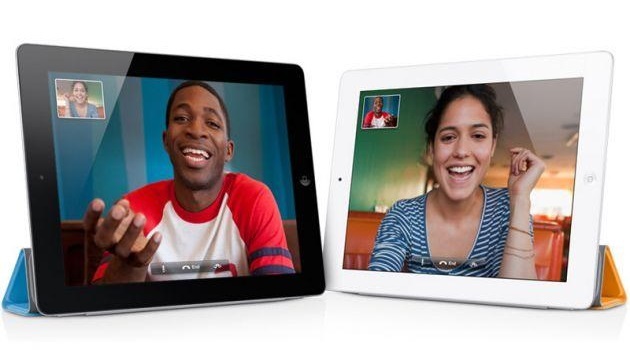 This Facetime App is a must if you are using Apple products such as iPad 2, iPhone 4, iPod Touch as well as your Mac computer. Facetime enables you to contact someone and do video chat with him or her effectively. Facetime can be installed on your PC but that requires an additional third party program. Facetime app can be used easily though it merely depends on the type of device that you like to communicate with. Like for example you want to call your friend that is using iPhone, the only that you should do is to dial his or her phone number. If you want also to reach their iPod touch, iPad or even their Mac computer, you just have to type in their email address. If you try to receive or make this kind of call, you are reachable despite your location is and your Mac devices will also ring. For some this is good news but for others this is bad because whether you like or not, all of you Mac devices will ring. Another feature of this new app developed by Apple is the picture to picture view. This feature will enable to you exactly view the person you are communicating with. If you want to clearly view the person you have communicated with, you can make use either the rear or front view of your camera and you can also do transitions between portrait view and landscape view easily. If ever that you really have to view that person, it is now very easy because you just have to contact them on their iPhone device or type in their email address and contact them on their Mac devices. The other feature of this app enables you to upgrade video calls. This app has the capability to support video calls with high definition assuming that you have a camera with high definition which is up to 720p at your Mac device. If you want to communicate with your family, friends or even with your boss, this app will enable you to view them clearly. You will be able to see if what are their expressions and feelings. You just have to make sure that you are using some of the Apple products likewise the person you are attempting to call. Today, you will no longer find any difficulty in ensuring that you are talking with the right person. Also, you don’t have to worry if wherever you are because Facetime will enable to reach you despite how far your location is. The only wherein you might get frustrated with is that whenever someone attempts to call you, all your Mac devices will ring however this is then good because this will enable you to easily know that someone is attempting to talk and contact you. Related to "Top 3 Unique Features of Facetime"